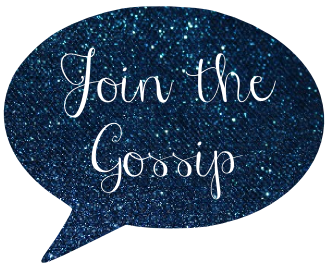 Join The Gossip: Gossip Girl--I Totally Get it Now! 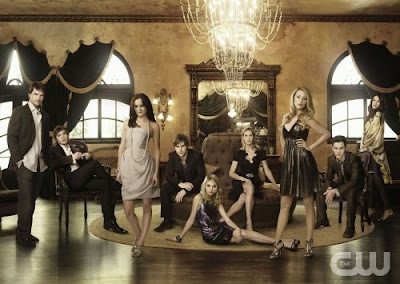 I was one of the seven girls in the entire world that wasn't a Gossip Girl follower...until last night. For some reason or another I never jumped on the bandwagon; therefore, I never knew what I was missing. But, because all of my favorite bloggers frequently mention the show, I figured I had to check it out (thanks all!). So me and my bloggin' buddy, Stephanie, ordered some delicious Mexican food and plopped ourselves in front of the TV to watch Gossip Girl, Season 1, Episodes 1-4. I know I am way behind, and it does happen, but at my viewing stage, I am dying for Serena and Dan to get together! So until the next episodes arrive, I'll be checking my mailbox frequently for that little red envelope from Netflix. I am hooked now! I'll admit I was late getting into Gossip Girl as well (I started watching at the end of the first season) but I think it's amazing. I've even got my bf hooked! Yay, that's so exciting! I love GG, too! It's kind of embarassing, but I can't help myself. Okay, I did the same exact thing! Totally boycotted season 1 and then only because there was nothing else on monday nights started watching season 2...and i'm in love! When you get caught up on season 2 you will want to love Chuck...unless because of missing season 1 I never developed a dislike for him. Either way, I love it! Well Leeann sorry to say, I could not wait for the red envelope so I bought the entire season. 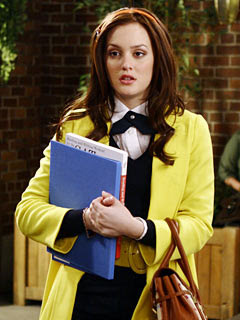 I tried to be patient as possible but my GG addiction took over and now I am on disk 3. OMG i'm SOOOO excited for you! isn't it the best!? i totally love it- so much that i don't even care who knows it! it's so exciting that you have so many episodes ahead of you! i'm in love with blair and chuck! heheh happy watching! oh it's just the best!